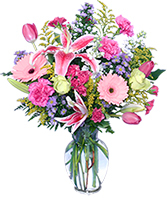 Diga Gracias.. Feliz Cumpleaños.. Felicitaciones.. o Pensando En Ti.. con flores brillantes frescas de BRIDGE CITY FLORIST AND COFFEE. ¡Llame directamente o ordene flores en línea hoy! 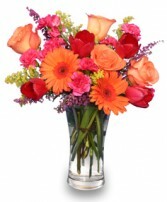 Recipe Same As Very Berry Punch:, Trumpet Vase, Peach Roses, Red Tulips, Orange Gerberas, Hot Pink Mini Carnations, Heather, Solidago. Recipe Same As Youre One In A Million:, Classic Urn, Foliage: Salal, Leather Leaf, Stargazer Lilies, Pink Gerberas, Fuchsia Tulips, Purple Monte Casino Asters, Hot Pink Carnations, White Roses, Solidago, Hot Pink Spray Roses, White Stock. Recipe Same As Perfect Love Bouquet Dozen Rose Vase, Foliage: Myrtle, Seeded Eucalyptus, Leather Leaf, Variegated Pittosporum, Stargazer Lilies, Red Roses, Pink Snapdragons, White Stock, White Cushion Poms, Pink Mini Carnations. 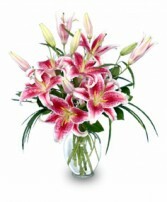 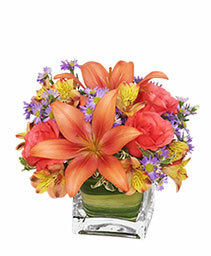 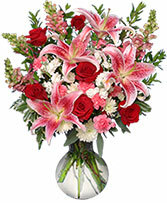 Recipe Same As Purely Stargazers:, Classic Urn Vase, Foliage: Salal, Lily Grass, Stargazer Lilies. Recipe Same As Floral Attraction Arrangement:large Bubble Vase, Foliage: Leather Leaf, White Asiatic Lilies, Coral Roses, Coral Gerberas, White & Pink Alstroemeria. 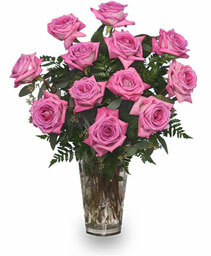 Cut Glass Vase, Foliage: Leather Leaf, Seeded Eucalyptus, Pink Roses. 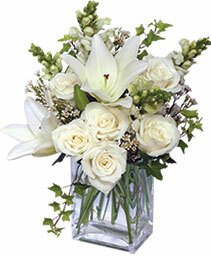 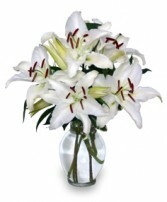 Recipe Same As Casa Blanca Lilies:, Classic Urn Vase, Foliage: Pittosporum, White Casa Blanca Lilies. 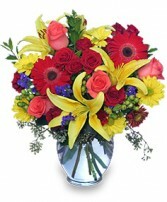 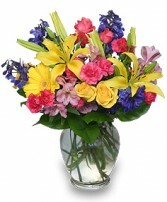 Recipe Same As Rainbow Of Blooms:, Ginger Vase, Foliage: Leather Leaf, Salal, Yellow Gerbera, Yellow Roses, Yellow Asiatic Lilies, Blue Bella Donna Delphinium, Hot Pink Mini Carnations, Pink Spray Roses, Pink Alstroemeria. Recipe Same As Have A Sunny Day Basket:, Oval Willow Basket With Handle & Liner, Wet Floral Foam, Foliage: Myrtle, Leather Leaf, Pink Gerberas, Pink Asiatic Lilies, Yellow Roses, Purple Liatris, Blue Bella Donna Delphinium, Yellow Button Poms. 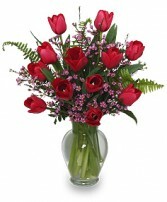 Recipe Same As Tiptoe Through The Tulips:, Classic Urn Vase, Foliage: Salal, Sword Fern, Red Tulips, Pink Waxflowers. 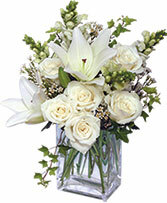 Recipe Same As Wonderful White Bouquet: Rectangular Vase, Foliage: Ivy, White Snapdragons, White Roses, White Asiatic Lilies. 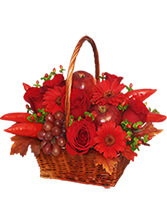 Recipe Same As The Richness Of Red Basket: Square Willow Basket With Handle And Liner, Wet Floral Foam, Red Miniature Gerberas, Small Red Apples, Clusters Red Grapes, Red Roses, Red Hypericum, Red Chili Peppers, Preserved Oak Leaves. 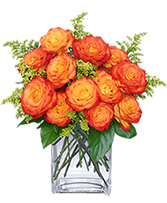 Recipe Same As Make A Splash Bouquet:, Ginger Vase, Foliage: Myrtle Tips, Seeded Eucalyptus, Red Gerberas, Coral Roses, Yellow Asiatic Lilies, Green Hypericum, Red Spray Roses, Yellow Daisy Poms. 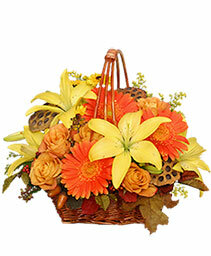 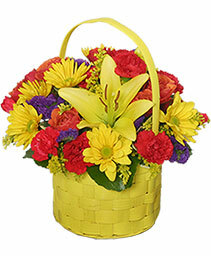 Recipe Same As Golden Grandeur Basket: Rectangular Willow Basket With Handle And Liner, Wet Floral Foam, Yellow Asiatic Lilies, Golden Yellow Roses, Orange Gerberas, Blackeyed Susan Daisy Poms, Solidago, Lotus Pods, Artificial Fall Leaves & Berries. 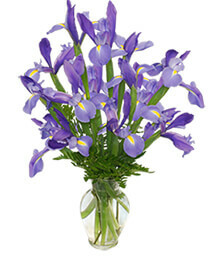 Recipe Same As Celebrate The Day:, Rectangular Vase, Foliage: Scotch Broom, Orange Gerberas, Blue Iris, Yellow Tulips, Lavender Stock, Fuchsia Freesia, Purple Moonshade Carnations, Green Kermit Button Poms, Acacia. 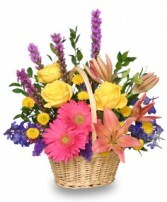 Recipe Same As Straight From The Heart Basket:, Wicker Basket With Handle & Liner, Wet Floral Foam, Foliage: Leather Leaf, Salal, Pink Asiatic Lilies, Pink Roses, Lavender Carnations, Variegated Pink & White Alstroemeria, Fuchsia Freesia, Solidago. 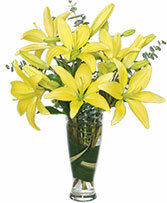 Recipe Same As Rise & Shine Lilies:, Tapered Vase, Foliage: Eucalyptus, Variegated Aspidistra Leaf, Yellow Asiatic Lilies. 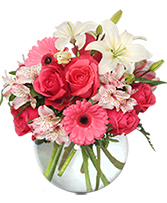 Recipe Same As Best Wishes Basket:, Square Basket With Handle And Liner, Wet Floral Foam, Foliage: Ivy, Leather Leaf, Hot Pink Gerberas, Pink Alstromeria, White Monte Casino Aster, White Waxflowers, Hot Pink Mini Carnations, Hot Pink Tulips. 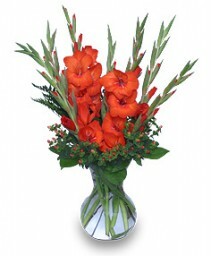 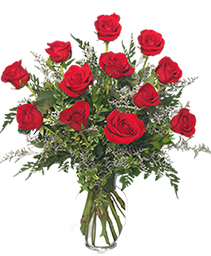 Recipe Same As Summer Sangria:, Dozen Rose Vase, Foliage: Salal, Red Gladiolus, Red Hypericum. 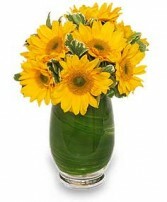 Recipe Same As Sunny Day Greetings:, Celebrity Vase, Foliage: Aspidistra Leaves, Variegated Pittosporum, Medium Sunflowers. Recipe Same As Bright & Sunny Basket:, Yellow Basket With Handle And Liner, Wet Floral Foam, Foliage: Galax Leaves, Yellow Asiatic Lilies, Dark Orange Spray Roses, Red Mini Carnations, Yellow Daisy Poms, Solidago, Purple Statice. 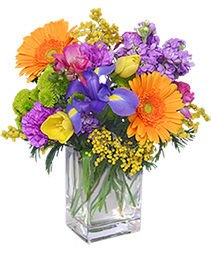 Recipe Same As Friendly Fall Bouquet:, Square Vase, Foliage: Aspidistra Leaf, Oregonia, Coral Roses, Yellow Alstroemeria, Lavender Monte Casino Aster, Rust Hybrid Lilies.